This handout picture taken by the US Marines on July 23, 2012 shows an Osprey MV-22 aircraft being inspected after it was unloaded from a cargo ship at the US Marines' Iwakuni Air Station in Iwakuni, Yamaguchi prefecture, western Japan. 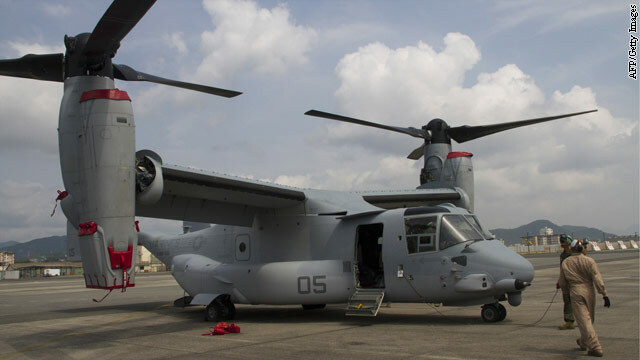 All Marine Corps MV-22 Ospreys deployed to Japan will stay on the ground until the Japanese government is informed about the cause of two recent crashes involving the tilt-rotor aircraft, U.S. Secretary of Defense Leon Panetta announced Friday. "When the government of Japan came to us and expressed safety concerns about the MV-22 deployment, we immediately responded," Panetta said in a joint news conference at the Pentagon Friday with new Japanese Minister of Defense Satoshi Morimoto. "In recognition of the remaining concerns of the Japanese government about the safety of the aircraft, we will refrain from any flight operations of the MV-22 in Japan in the short term." The Marine Corps deployed 12 Ospreys to a base in Japan in recent weeks. Another 12 aircraft are scheduled to deploy there next summer. 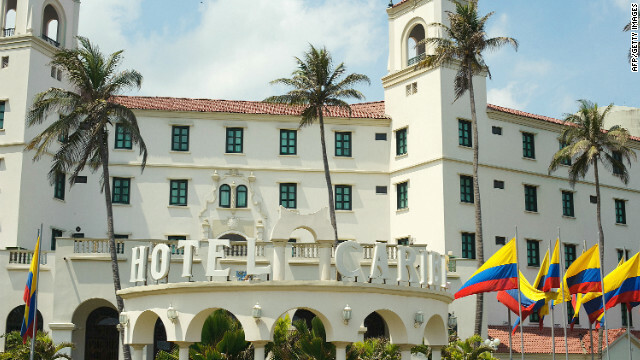 Twelve U.S. service members brought prostitutes to their hotel rooms in Colombia prior to an April visit by President Barack Obama, according to a U.S. Southern Command report detailing parts of the investigation into alleged misconduct by military members of the security team for the trip. Partial details of the report were released Friday by the command, which took the lead in the investigation. The report shows, for the first time, what the service members did while in Cartagena, Colombia. 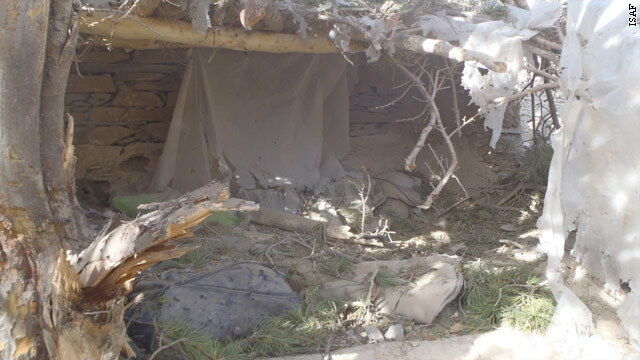 Members of a combined Afghan and coalition security force cleared a known Haqqani network foreign fighter encampment site in Paktika province, Afghanistan last year. The Haqqani network, a notorious militant group responsible for the deaths of U.S. service members in Afghanistan, has evolved from a politically inspired insurgent group into a "sophisticated and diversified mafia-type network" that finances itself through kidnapping, extortion, and the lucrative rare-earth metal trade, a new report says. In a wide-ranging report about the Pakistan-based group, the Combating Terrorism Center at West Point, New York, likened the "hybrid organization that is at once political and criminal in nature" to a complex and sophisticated organized criminal enterprise seeking to increase its stature in the community while resorting to criminal means to remain solvent. From its base in the tribal areas of northwest Pakistan, the Afghan-led group has formed alliances with al Qaeda, the Pakistani and Afghan Taliban, and the Pakistani intelligence services to further its aims, the report says. Community members in Pakistan interviewed for the report described the group as "virtually untouchable." 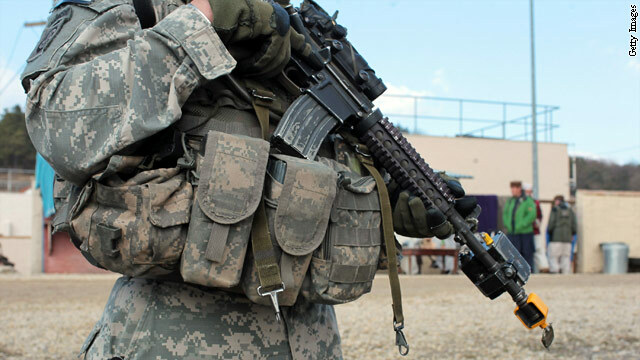 A group of legal and military experts will examine how major criminal accusations against service members in deployed areas are handled, under a new directive authorized by Secretary of Defense Leon Panetta and announced Friday. "We know that over the last 10 years in Iraq and Afghanistan, bad things have happened involving combat excesses and innocent civilians in deployed area," Panetta wrote in a memo announcing the makeup of the newly formed Defense Legal Policy Board. "The abuses have been rare among our professional fighting force, but they became huge flash points that threatened to undermine our entire mission." Jeh Johnson, the Department of Defense's top lawyer, said the action is "part of the secretary's ongoing interest in accountability, particularly in deployed areas." Defense Secretary Leon Panetta's recent travels to Tunisia, Egypt, Israel and Jordan underscored the practical limits of U.S. military power in the region at a time when the threats from Iran's nuclear ambitions and Syria's disintegrating regime could rapidly, and with little predictability, destabilize the always fragile Middle East. Everywhere he went, Panetta was questioned about U.S. intentions and policies toward Iran and Syria, and he basically offered an answer that, because of those limits, is interestingly the same for both. First, he reassured that the United States will defend its allies against threats, and second, he pressed repeatedly for the international community to maintain a unified position. 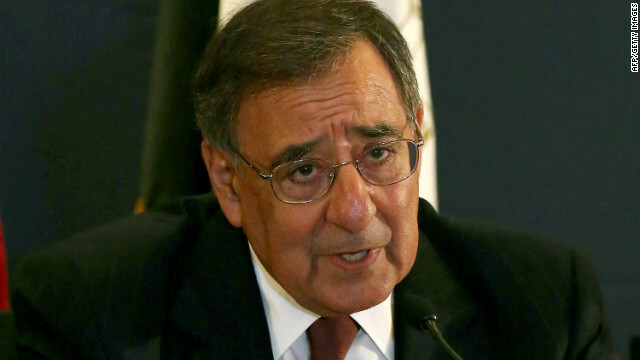 Panetta arrived in the Middle East just as Mitt Romney had left the region, so the defense secretary first had to lay down the political framework that he would not talk about the Republican candidate's views.